Year on year, Pantone’s worldwide experts gather together to determine a colour to represent where we are in the world today. 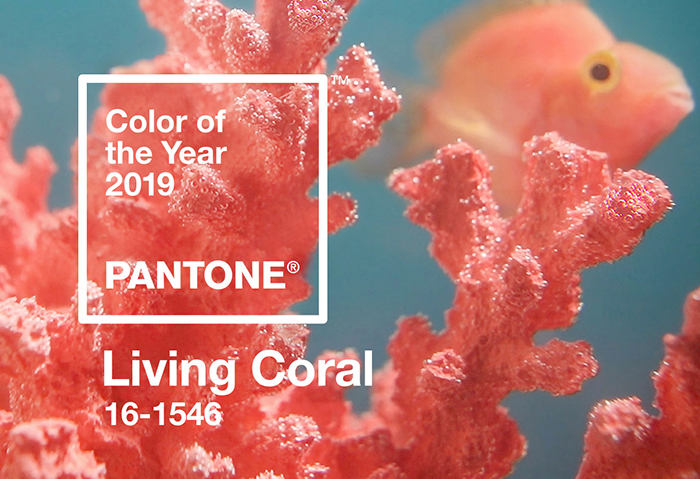 Living Coral, a warm energising peachy-orange with ‘life-affirming’ golden undertones has been determined as this year’s choice. 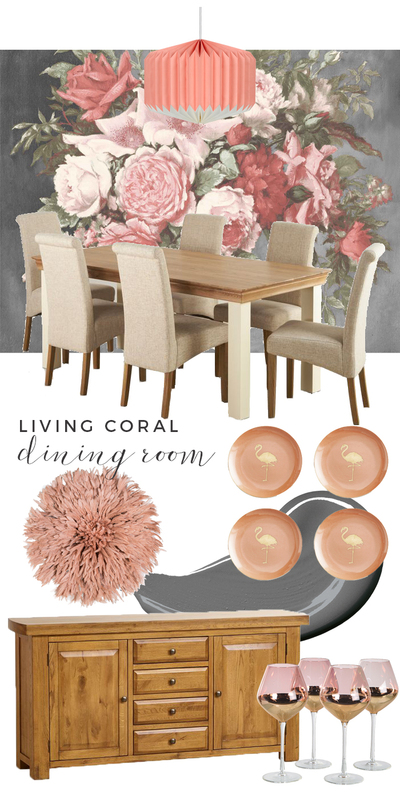 While 2018’s Colour of the Year Ultraviolet (a deep vivid purple-blue) may have been more difficult to embrace in our homes and was possibly best used as an accent colour, the warm peachy energy of Living Coral gives us much more scope. Symbolising our innate need for optimism and joyful pursuit, it embodies our desire for playful expression. 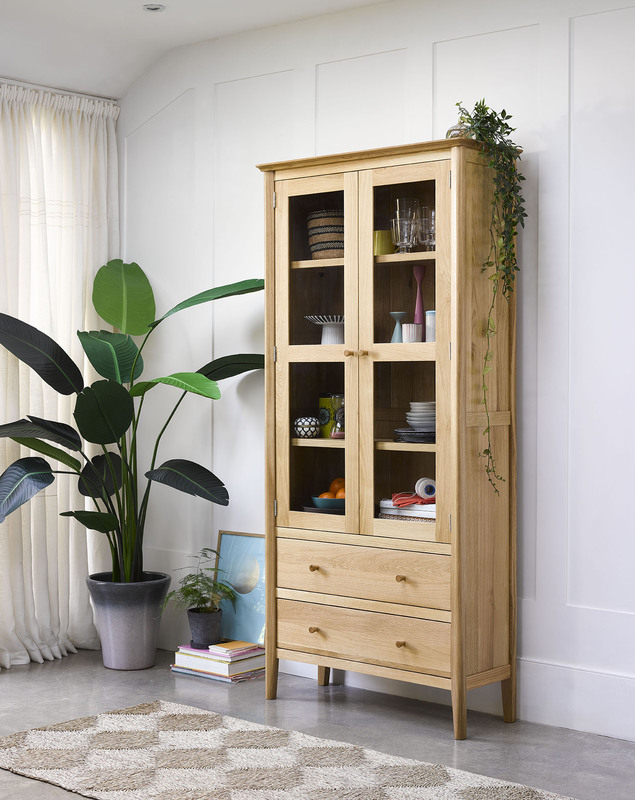 Take a look to see how well it can combine with furniture and accessories around your home and get inspired if you’re looking to incorporate this trending shade in your interiors this year. 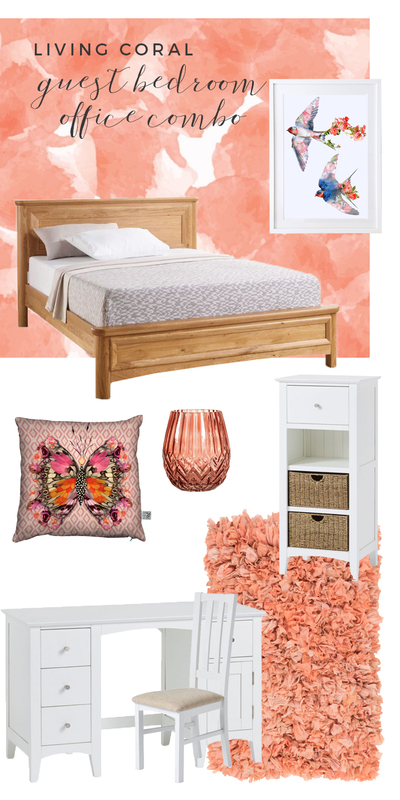 One of the most effective ways of using coral as an accent colour is by combining it with its opposite on the colour wheel. Deep blue-green paint colour on the walls creates a cosy embrace in a room meant for relaxation as does our 4-seater Sasha sofa with its textured jumbo cord finish (another emerging trend for 2019). 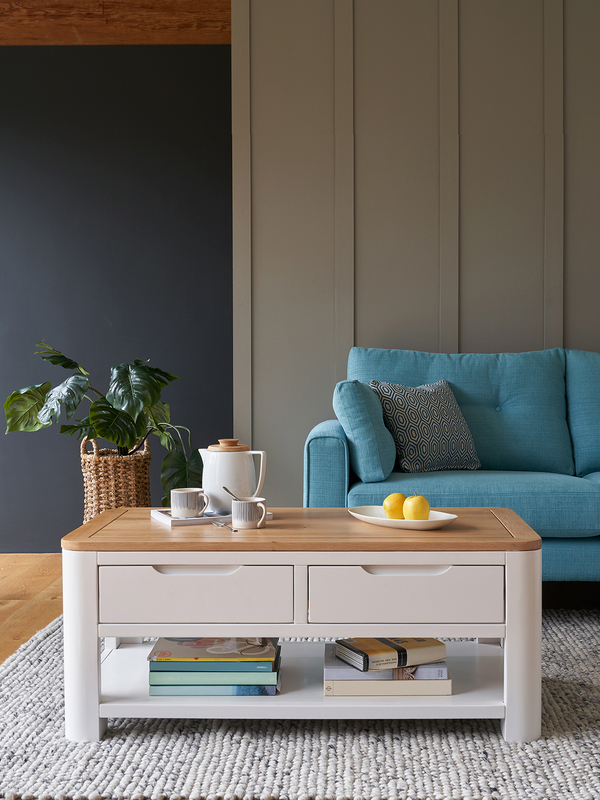 The light colour of the sofa will lift the space, natural oak finishes will warm it and bold accents in coral – from the rug to the accessories – will perfectly compliment the deep teal walls and curtains to create a warm and welcoming vibe. 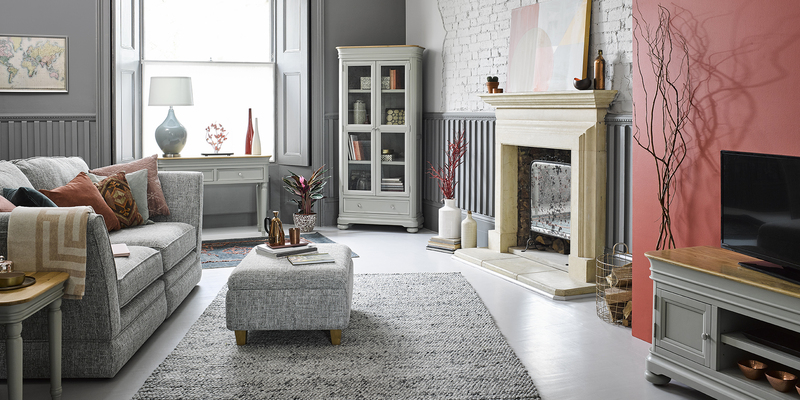 Looking for living room ideas on a budget? Follow our guide. In many homes, our rooms are multi-purpose and one of the most common combinations is the guest bedroom and home office. 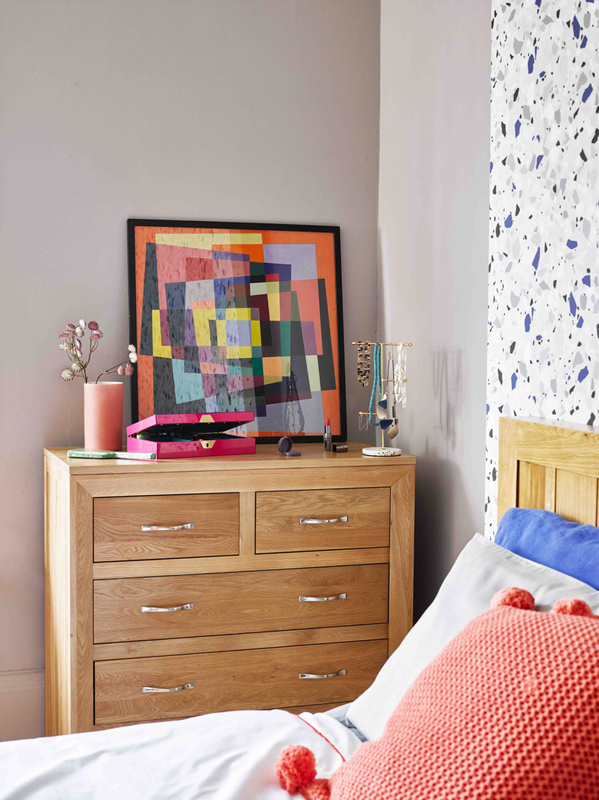 Creating a cohesive scheme will allow the space to function seamlessly with coral acting as an energising jumping-off point. 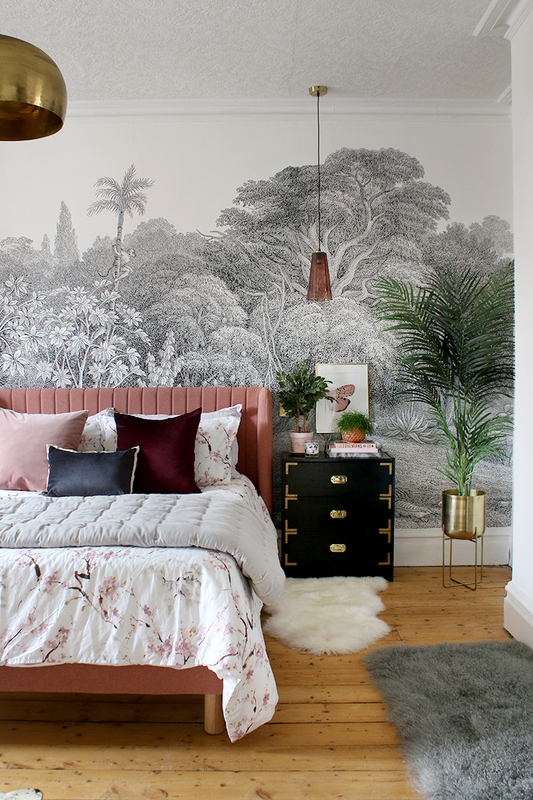 With a softly abstract coral wall mural playing the starring role in the room, use white painted and natural furniture to provide a sense of calm. Playful accessories tie the scheme together without overwhelming the senses. Looking for more styling tips? Check out our post on styling your home office here. Whether the dining room is regularly used as the gathering point for family meals and entertaining or simply a spot where the week’s homework is completed, a bit of drama is never a bad idea in this space. 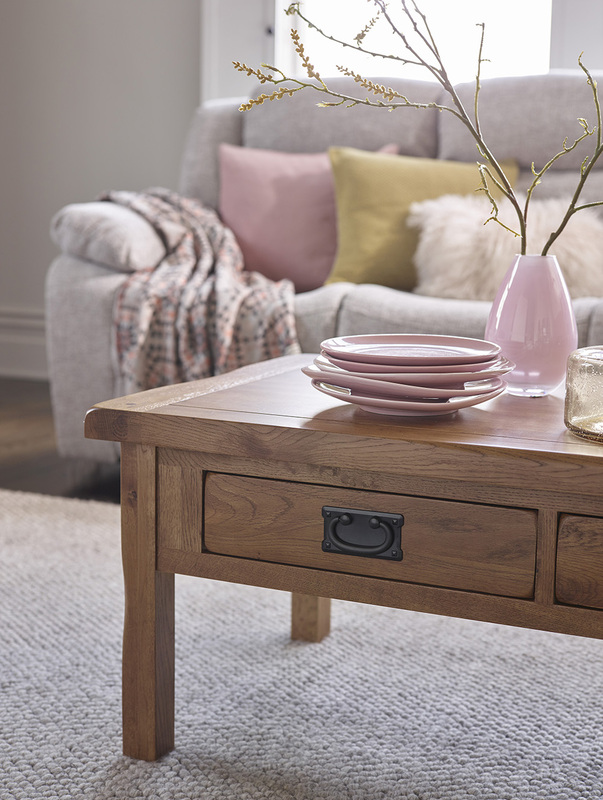 Consider creating a focal point where coral, pink and raspberry create a tonal landscape against deep grey. 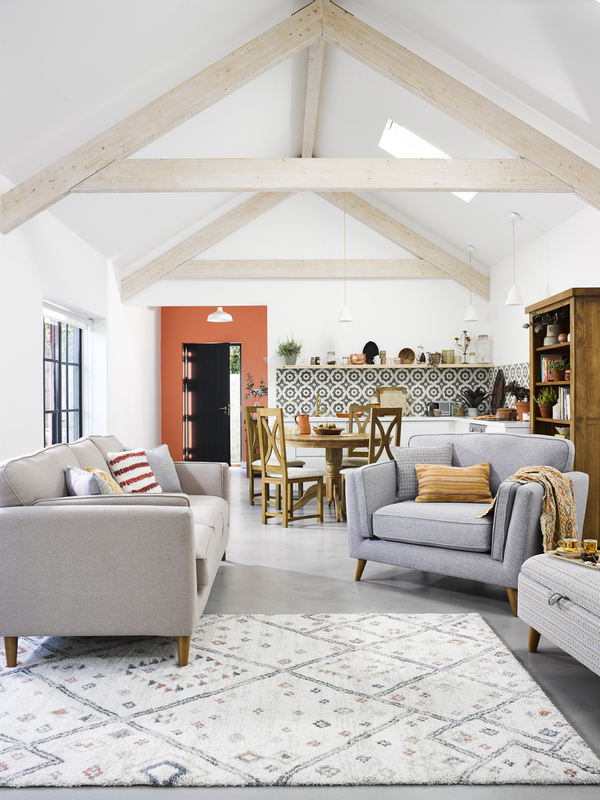 Look out for slightly warmer grey shades (with reddish undertones rather than blue) alongside cream or beige dining chairs and rustic wood furniture to play up coral’s warmer undertones. A few additional touches in your accessories will carry the theme nicely. Redecorating your dining room? Read our top tips on where to splurge and where to save. And finally, in a smaller space or flat where there’s a combined kitchen and dining space, consider a bright and playful colour scheme incorporating Pantone’s Colour of the Year, Living Coral. 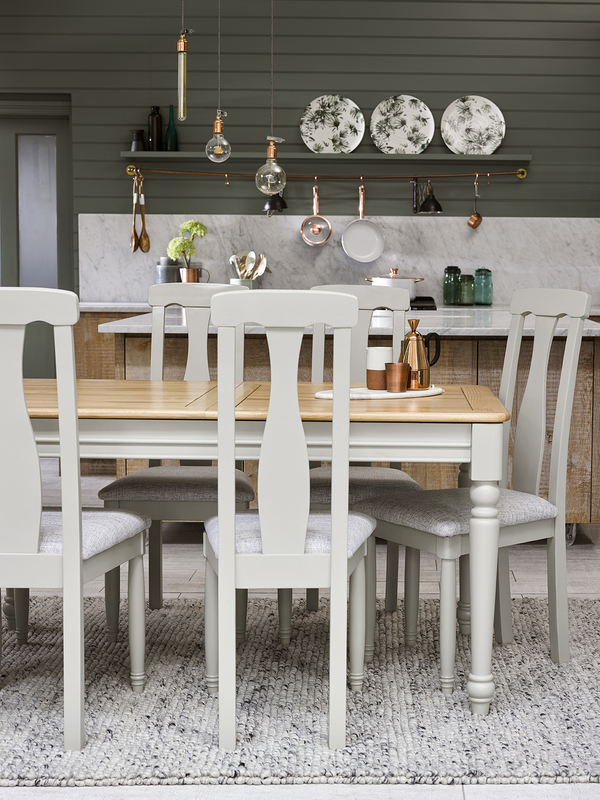 It works well in smaller spaces and combines wonderfully with white painted furniture which will visually expand the space whilst providing a useful area to enjoy meals. 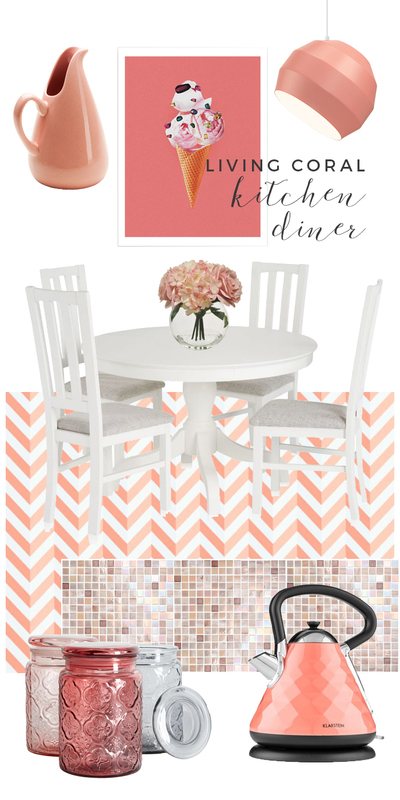 The vinyl flooring here using a coral chevron is the perfect way to introduce pattern in a smaller space and this can be accented with a smaller mosaic tile in various shades of peach and neutrals for your backsplash alongside tonal accessories. 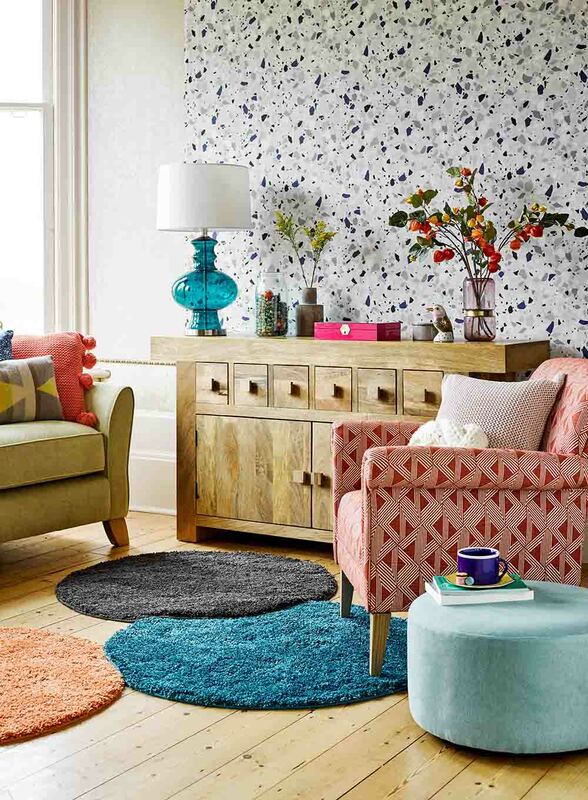 Looking for more tips on using pattern in your home? Here are our top tips. 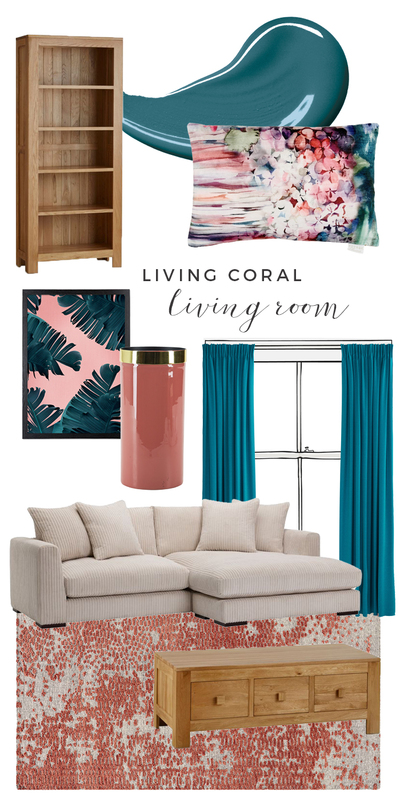 With so many ways to use Living Coral in your home, will you be using Pantone’s colour of choice this year? For a deeper look at combining trends with timeless details in your home, check out our post here.